MULL: I saw the Firecrest again this morning at 07.25 in my front garden (just along from the Argyll Hotel in Iona village street) – Carol Dougall. COWAL: On Loch Loskin outside Dunoon this afternoon, 30 + Sand Martins and two drake and one duck Mandarin and a pair of Grey Wagtail (Alistair McGregor). 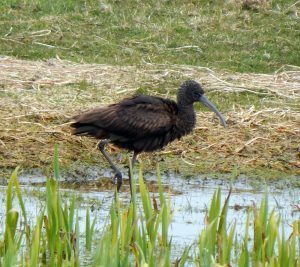 TIREE: The Glossy Ibis back at Kilmoluaig pool (also there on 10 Apr), 1f Brambling, 17+ Goldcrest, 1m Blackcap, 3 Willow Warbler, 2 Chiffchaff, 1 Woodpigeon, 2 Dunnock, 2 Linnet and 2 Chaffinch at Balephuil. Ad Iceland Gull at Loch Bhasapol. 26 Greenland White-fronts north over Balephetrish at 1200hrs, 84 Great Northern Divers off Balemartine (John Bowler). 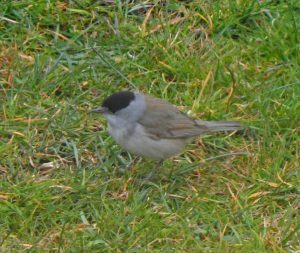 1f Blackcap at Baugh (Bill Welstead). 300 Greenland White-fronts north over Hynish at 1145hrs (Peter Isaacson). 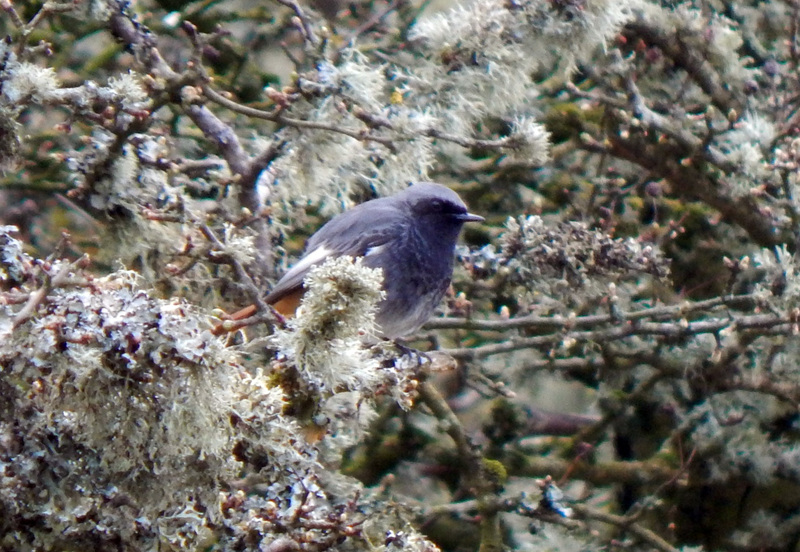 Male Black Redstart at Carnan Mor this evening (John Bowler). ISLAY: A Hawfinch showing well in a garden in Port Wemyss early afternoon. We also had a 1st-summer Iceland Gull at Claddoch. Also at Gruinart, the Green-winged Teal still and two Ruff from the north hide (Val Wilson, David & Pauline Clugston). A Magpie was a rarity at Kilchoman today (Ian & Margaret Brooke). 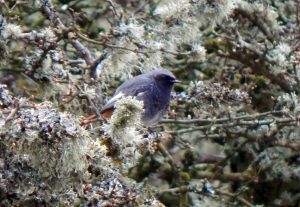 Black Redstart – Carnan Mor, Tiree 11th Apr (John Bowler). 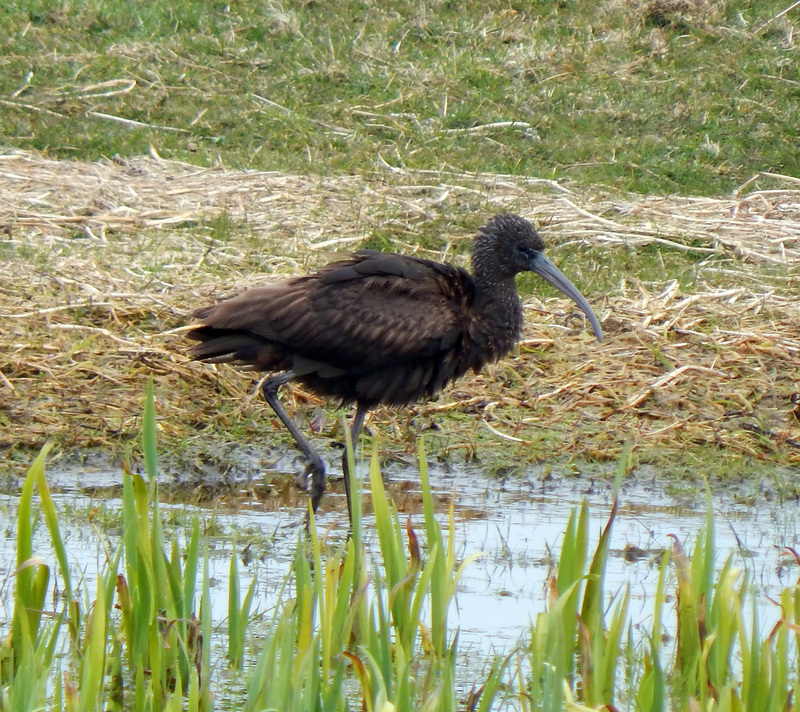 Glossy Ibis – Kilmoluaig, Tiree 11th Apr (John Bowler). 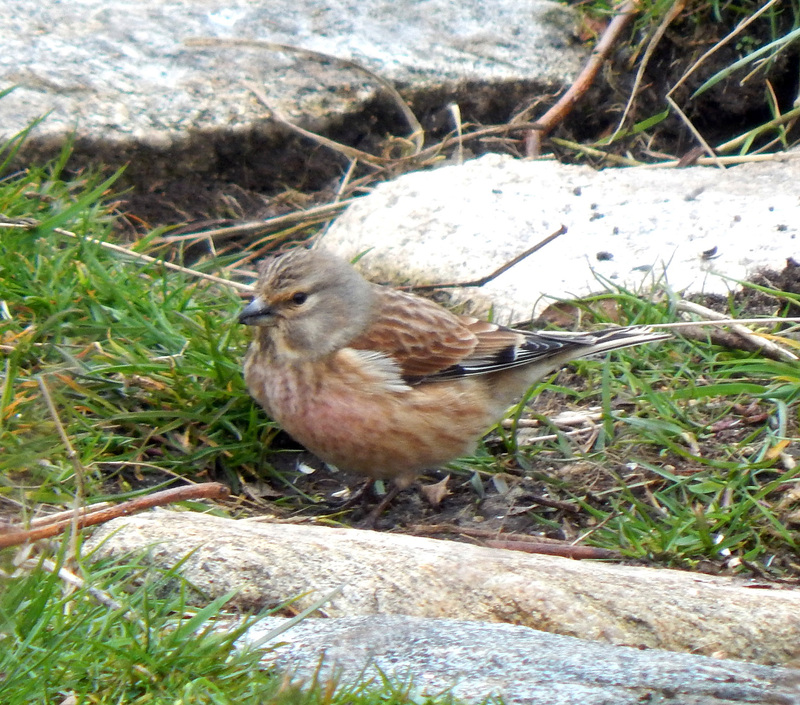 Linnet – Balephuil, Tiree 11 Apr (John Bowler). 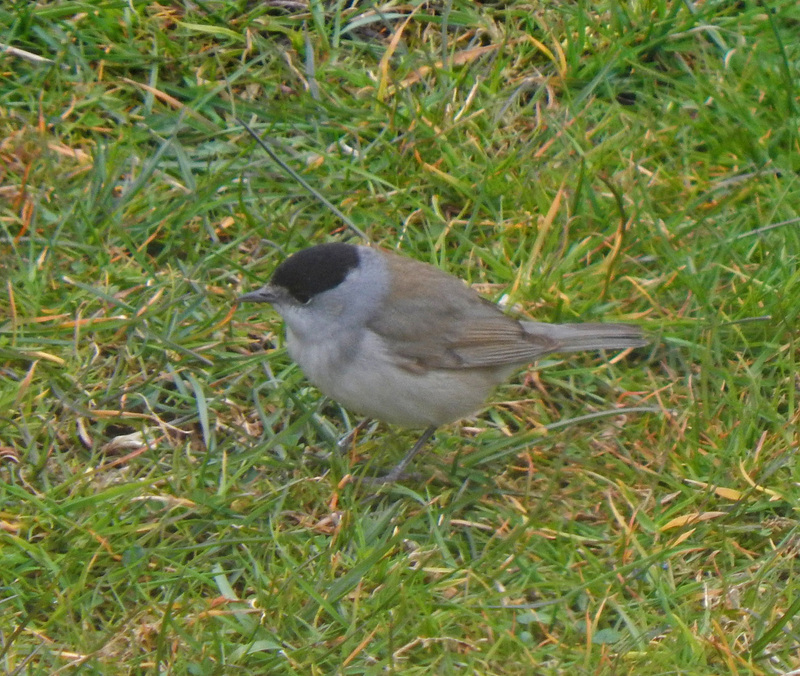 Blackcap – Balephuil, Tiree 11 Apr (John Bowler).